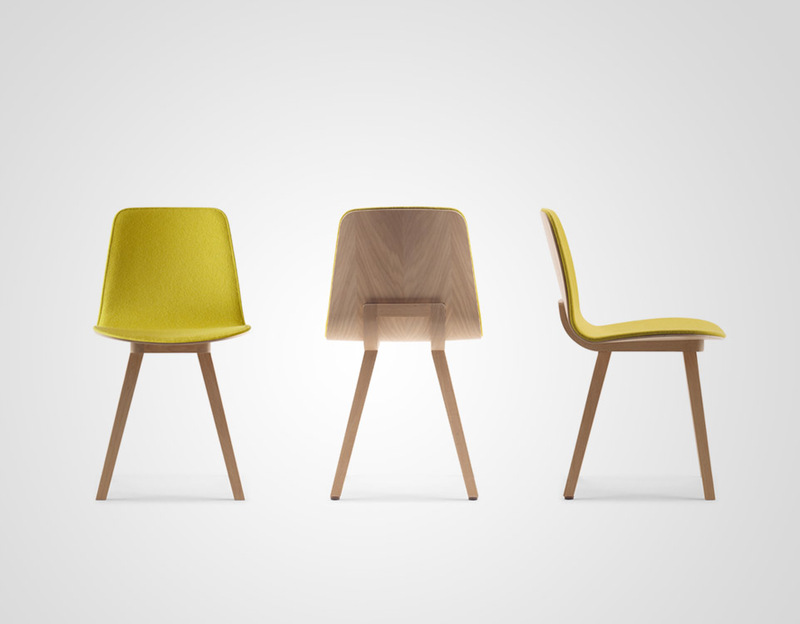 KUSKOA is a range of tables, chairs, fireside chairs and low chairs in various sizes and finishes. These seats comprise two elements. A light shell resting on a finely upholstered oak easel. The aim was to recuperate the esence of the classic plastic chair. The reference of Robin Day's iconic chair was always present but with the added value of timber's warmth. The shell is then held by a wooden easel.